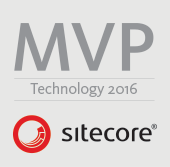 We recently upgraded our Sitecore Solution from 6.3.1 to 6.4.1 Update – 6. And man! Must say Sitecore 6.4.1 is Superb! Page Editor looks truly professional and some very nice overall improvements to the instance. Here we are to talk about one of those — called the Layout Deltas. So what is Layout Deltas? In brief, Layout Deltas is a way of storing the delta (change) in the values of an item in comparison to its template. 1. Setting Layout and Renderings in the Presentation Details of the Standard Values of a Template. 2. Creating Items from that template. Everytime, an item is called/rendered on page, its presentation details will be referred to from its Template. Now, in case we make some changes in presentation details of the items, then they are stored as changes from the original templates — as Deltas — and not as all the presentation details for the item. So now, whenever that item is called/rendered on page, presentation details of the template standard values are referred to, and then what is called is the Delta Section — thus making the complete item and its Layouts and Renderings available. Again, you make any changes to the Standard values of the template, and those changes are reflected in the items made from these templates. — Cool Yea? Well, this is what Layout Deltas is all about! In case specific changes made to specific items, not all details of Layouts and Renderings are stored there — but only the changes, the Delta is stored! So what was the case in Sitecore versions before 6.4 was introduced or before Layout Deltas came into Existence? Lets understand with an example what those two cases were. So we can say that Layout Deltas is a pretty much required functionality for our Sitecore Instances. Happy Sitecoring and Happy Layout Deltaing! Pingback: Basics of reading layout delta programmatically « Sitecore basics!